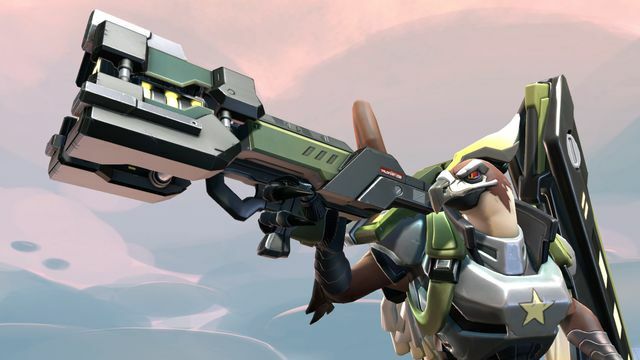 2K and Gearbox Software have announced that Battleborn, the new first-person hero-shooter from the creators of Borderlands, is now available worldwide for the PS4, Xbox One and Windows PC. 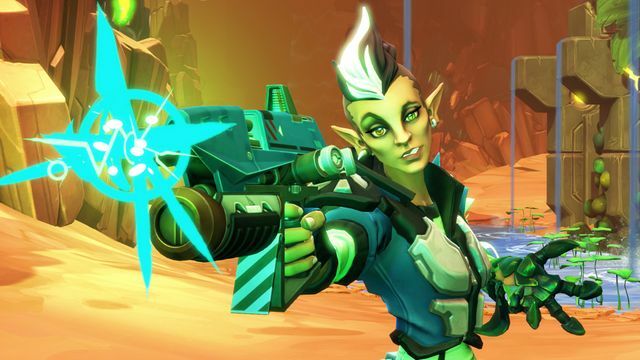 Battleborn is set in the distant future and features 25 unique playable heroes. They form an unlikely alliance to save the last star in the universe from a mysterious enemy hell-bent on its destruction. 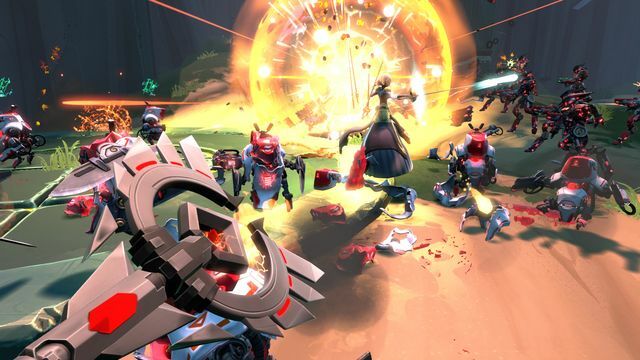 Battleborn’s story mode is a multi-chapter narrative experience that can be played alone or co-operatively with 2-player splitscreen or up to five friends online. Each chapter is like an episode of a television show, with each episode’s unique plot both standing on its own and pushing the overarching story of the game forward. Incursion: Teams of heroes must defend their base sentry bots from waves of AI-controlled minions while working together alongside their own minions to destroy their opponent’s sentry bots. 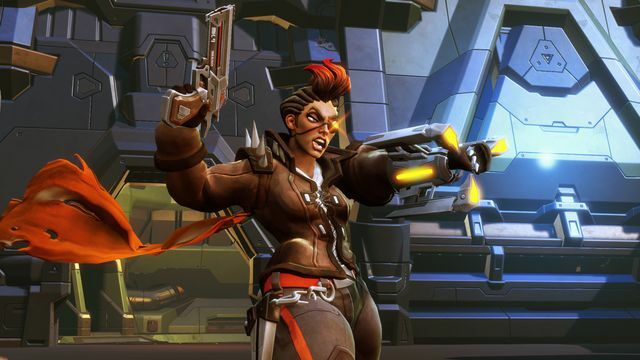 Battleborn will also be expanded post-launch with five downloadable add-on packs – each containing a PvE Story Operation, exclusive skins and taunts. Players may purchase all five add-on packs through the game’s Season Pass. 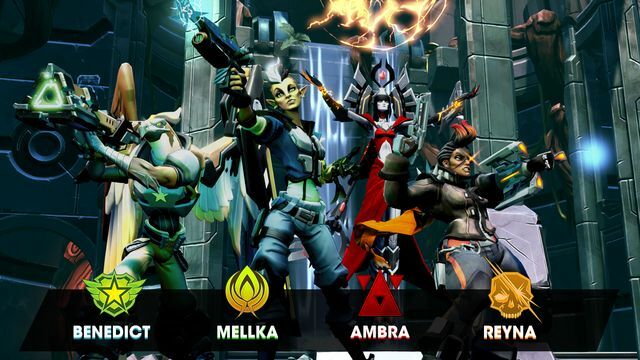 Golden Battleborn logo on title screen. As well as the paid DLC, 2K and Gearbox will also be supporting the game post-launch with many free content updates that include five new playable heroes, bringing the total roster to 30, and additional competitive multiplayer modes, maps, balance updates and community features. 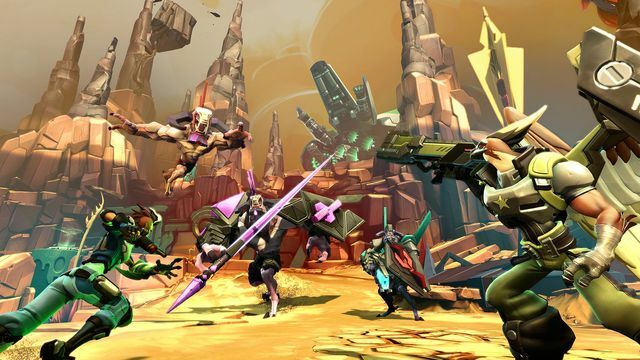 Also available now is Battleborn Tap, an all-new free mobile game for iOS and Android that allows you to experience the Battleborn universe on the go.